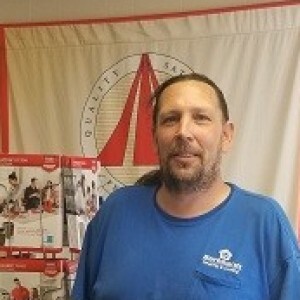 Dennis R has a 5-Star rating and leads the company in total reviews, making this pro a ReviewBuzz Rockstar! They answered their phones quickly, the technicians responded to my issue quickly. They first tried troubleshooting the issue over the phone. When that didn’t work the technician (Dennis R.) came out and quickly diagnosed the issue, replaced the faulty part and had my furnace up and running in no time. He also gave me some helpful tips for future longevity of my HVAC system. Coldest day of the year (-19°) and they really saved the day. Thanks to all at Burkhardt Heating & Air Conditioning! Technician Dennis gave me very helpful suggestions I hadn't been given before.Thank you. Dennis was kind, informative, and efficient. He was a delight to work with... and I have 3 furnaces! Dennis was very professional, polite and kind. 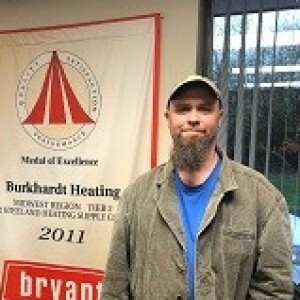 He answered questions I had and cleaned parts of the furnace I have never seen any other technician clean out. 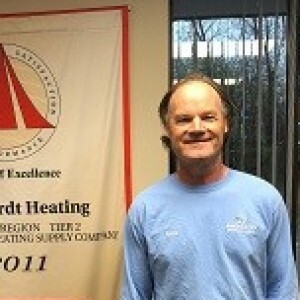 Dennis was very thorough and did a great job cleaning all the furnaces. Thanks, Dennis! 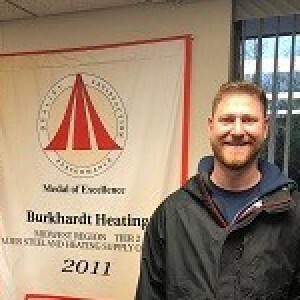 I have been a Burkhardt customer for 15 years and they have consistently provided professional reliable service. From yearly maintenance to new furnace or AC installation, every employee is knowledgeable and professional at each visit. I highly recommend them to family & friends. Dennis, who was new to us, arrived right on time, was efficient, and extremely courteous. We really appreciated having him. Dennis was very polite and knowledgeable. He explained to me what he did. I had Burkhardt do a standard review of the furnace in the house I bought a few months ago. From the time I set up the appointment, they communicated well with me and were on time. 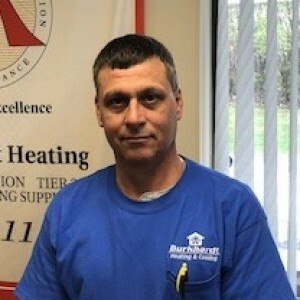 Dennis was able to answer my questions about he furnace and other components of the heating system in my house and give me some tips on how I may be able to improve the flow of heat to a room that is cooler. Overall, very good experience. Everyone I have had the pleasure of dealing with at Burkhardt has been professional and courteous. Dennis was great.On time and very helpful. 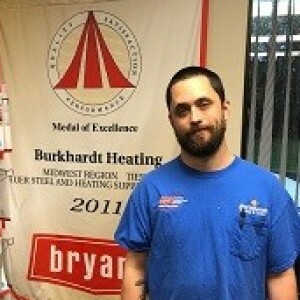 Burkhardt has been great to work with. Dennis was prompt, professional and explained everything. We look forward to our future relationship with them. Showed up to appointment on time. Took the time to explain the results of the preventive service. Very professional. Dennis was prompt and professional. Serviced my furnace and was in and out in about an hour. Also quoted replacing my humidifier. Will use Burkhardt again in the future.